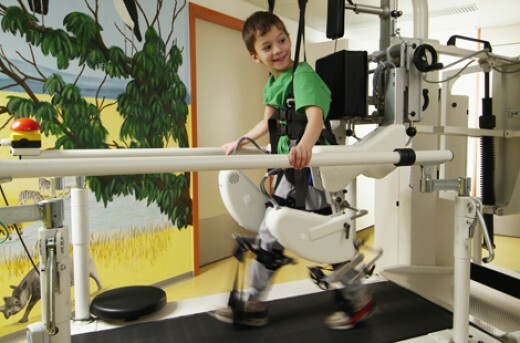 The benefits of regular physical activity for individuals with cerebral palsy are numerous, including an improved sense of wellness and body image, and increased capacity to perform activities of daily living. Exercise may also lessen the severity of some symptoms, such as spasticity and athetosis. The key to maximizing the benefits of exercise is to follow a well-designed program that accommodates your individual needs and concerns. The primary goal of exercise training is to improve your health and increase your ability to perform everyday activities. Choose activities you enjoy and that are within your functional capabilities, such as using an arm bike or recumbent bicycle. Start slowly and gradually progress the intensity and duration of your workouts. Aim to do aerobic exercise 20 to 40 minutes, three to five days per week. Walk or wheel your wheelchair up to 15 minutes, one to two times per week; aim to improve the distance you are able to cover. A twice-per-week strength-training program using free weights or machines with three sets of exercises for the major muscle groups, with eight to 10 repetitions, is recommended. Stretching exercises to improve your range of motion should be done before and after every workout. Be prepared to adjust your workouts according to your symptoms—if you feel fatigued rather than energized, you may be overdoing it. Anti-seizure and antispasmodic medications may decrease the intensity of aerobic exercise that you can do. If you have spastic and/or athetoid complication, straps, wraps or gloves may be necessary to keep your hands and/or feet secure. Make sure you can get out of the straps safely or exercise with a person close by to help if you need to get out of the straps quickly. * If your health care provider has not cleared you for independent physical activity and would like you to be monitored in a hospital setting or a medical fitness facility, you should exercise only under the supervision of a certified professional. The American College of Sports Medicine (ACSM) has two groups of certified fitness professionals that could meet your needs. The ACSM Certified Clinical Exercise Specialist (CES) is certified to support those with heart disease, diabetes and lung disease. The ACSM Registered Clinical Exercise Physiologist (RCEP) is qualified to support patients with a wide range of health challenges.